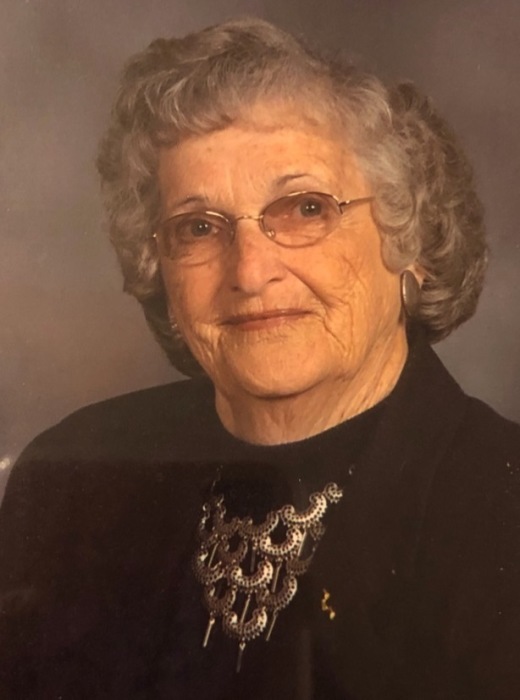 BURNS, Bettie Our Mother, Bettie Burns, passed away peacefully Wednesday, April 10, 2019 and may Heaven be warned: you will never need to worry about the cooking and cleaning again, she will have this covered. Bettie was born in Altus, Oklahoma on September 8, 1925 and was preceded in death by her husband of 58 years, Thomas C Burns. She met Tom in Altus, while he served his country in the United States Army Air Corps as a pilot. After the war they returned to Hamilton and raised their family and shared many precious memories. She was raised in Altus and educated in Altus City Schools. She had various jobs in her life, including and most importantly Mother. She was a friend to all, Mom to many, and cook extraordinaire. She is survived by her children, sons Charles (Anita Shaw) Burns of Hamilton and Craig (Sally) Burns of Homer, Alaska and daughter Cheryl (Charles) Prather of Hamilton; grandchildren, Katie Burns Bost, Carey, Carley Prather, Cortney (Travis) Kirkpatrick, Joshua (Tammi) Burns, Bryce (Chrissy) Burns, five and half great grandchildren, numerous nieces and nephews, many wonderful lifelong friends and a special adopted son and daughter, Raymie and Karla. She was preceded in death by her parents DW (Eva) Anderson, brother DW Lovell, sister Georgia Craig, her loving husband Thomas. The family would like to extend their heartfelt thanks to the staff and residents of The Woodlands of Hamilton, where she enjoyed living for the past year, also the staff of Hospice of Miami Valley. We will forever be grateful for the times and the love she shared with us all. Thanks for the memories Bettie, we will miss you. Visitation will be 11:00 a.m. until the time of service at 12:00 p,m. , Wednesday, April 17, 2019, at the Avance Funeral Home & Crematory, 4976 Winton Road, Fairfield, with Rev. Mark Wurzelbacher officiating. Interment will follow at Rose Hill Burial Park. In lieu of flowers, memorials may be made to the charity of your choice.